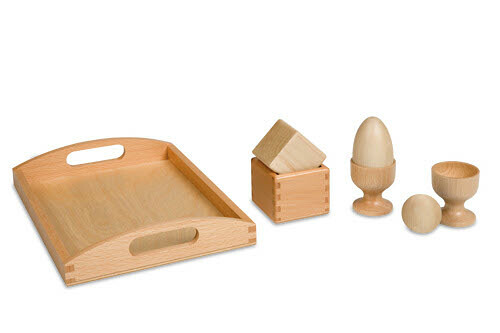 An infant can explore putting a wooden egg in a cup and taking it out again. Putting a ball in a cup is a new experience, because the child has to turn over the cup to remove the ball. Putting a cube in a box is even more challenging because it is necessary to line up the corners of the box and cube for success.